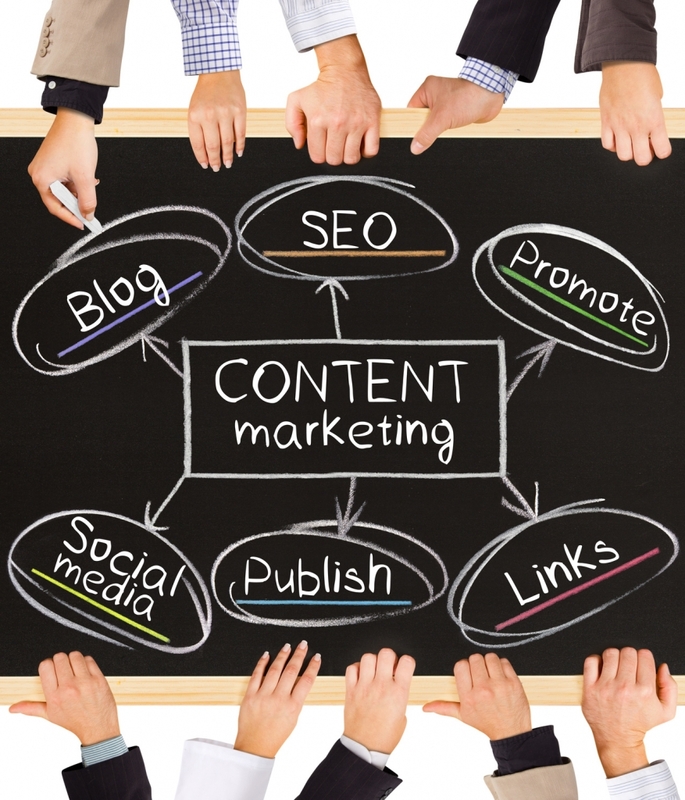 Why Are Content Calendar Tools Essential for Online Publishers? If you are an online publisher and you don’t yet have an editorial calendar tool you better read on. Editorial calendars (often called content calendars) are the tools that will keep you from losing track of content, employees work and most importantly your overall output over the entire year. The elements of content planning is not something new in the publishing world either. Original print newspapers have always carefully planned their content in advance, whether if it’s to match a particular season, trend or event. The only difference is, we have better ways of managing it all these days. Smaller publishers can get away with using WordPress Editorial Calendars and planning only 6 months in advance or less; but when you are in the big leagues, you should know what you are publishing next Christmas and what tweet will go out on New Year’s Eve (2017). Apart from fulfilling your need to know everything in advance, an editorial calendar can actually benefit your entire company and help you produce content pieces that are streamlined or complement each other. Backlinks – I have a lot of respect for sites that work on their back links to previous posts they published that have a connection with new content. Not only does this help keep your bounce rate low, it shows that you have invested a lot of time researching a particular topic and reinforces your expertise in the subject. Keep track of key dates – I don’t know about you but I am always so surprised when Christmas comes up and smacks me in the face. As if I haven’t had a year to plan for it. This works the same with publishing content. 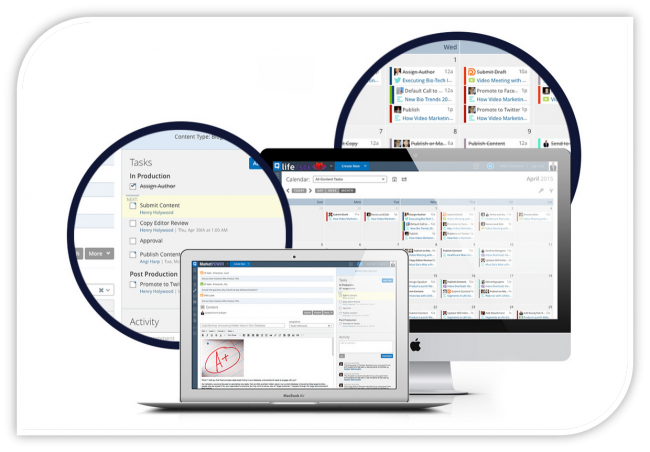 With an editorial calendar you can organize your content to match specific events throughout the year. These popular events get a lot of attention on social media and you don’t want to be missing out in driving traffic to your site. Fill the gaps – This leads on from my previous reason for using an editorial calendar. If you write content on a daily basis you probably know how much focus is needed for one article. A content calendar allows you to step out of your pinpoint vision and see the big picture so that if there are gaps you can fill them in. This overview is easy to digest and help you get a grip of what your publication actually looks like. Put your ideas together – Editorial calendars are not just used for scheduling post publication dates. It can also be used as a place to put down your ideas and also get inspiration from previous articles. Not all of them have this special feature, but it is a bonus to think about when you are choosing the right tool for your company. Frequency – One of the most crucial part of any content marketing strategy is to get the balance of post frequency. And the most annoying part is – it’s different for every publisher. It’s down to you to figure out the demands of your audience, but there are also handy guides from experts like Social Media Examiner that help you on the way. Most importantly, a content calendar helps you develop and maintain an integrated marketing strategy that you can follow, analyze and provide results for that end of quarter meeting. Don’t be fooled in thinking that a content calendar is just useful for keeping track of articles on your site. Neil Patel has also advocated the purpose of planning your social media output, which should also be an integral part of your content calendar. Most of the tools below have multiple functions and can also help you manage your social media strategy at the same time. Here are some of the most popular types of content to keep track of on your calendar. By having an overview of the types of content you publish and when, you can spread it out more evenly or put more emphasis on something that is going well. This approach also overlaps with your content analytics; if you see a type of content working well on a certain day or time, you can schedule your future content pieces to publish on those days. I know it sounds like a tedious process, but in the long run it’ll be worth it. A well-used content calendar will make sure your readers are getting the best content at the best time. If I’ve convinced you that having a content calendar is important for your business to thrive, then your next step is to figure out what tool you want to use to push this forward. There are countless in genius tools that offer multiple features, but at the end of the day you will need to decide what is important for your online publication. To help you figure it out, I put together some of the best content calendar tools in the publishing industry. I am human, so I wasn’t able to fit everyone in (and there are A LOT), so if there was someone you really feel should have made the list just let me know in the comments section at the end. One of my favorites and a very comprehensive tool for anyone working with content. The best part for me is that if you write, schedule or even publish a post in WordPress it will show up in the Co-Schedule calendar. From here you can drag & drop the post to different days so that it fits best with all of the other content you have prepared. If Jay Baer uses it, I think it might be worth it. If you have a social media strategy that complements your content at the same time that it’s published then you will love the feature Co-Schedule has. Within this tool you can create social media updates and schedule them to be shared with your post. Those updates also change if you postpone your posts publishing date. Some great extras they have for no cost includes a headline analyzer and a click to tweet feature. All they need now is their own app. Price: Get a 14 day free trial first. Their best value product is $60 p/month for 5 users and 10 guests and other advanced packages can range up to $600 for entire teams. If you are playing with the idea of getting a content calendar you might want to try out HubSpot’s free template. I almost everything that HubSpot produces and this is a great option for those on a tight budget. Just be aware, this is a spreadsheet that has been organized for content management, it does not have the ability to schedule or automate posts. Even so I think it is a good starting point for early stage teams. This wonderful tool is used by many industry heavy weights like Content Marketing Institute and CBS, and is a great option for larger companies that are able to pay more and get the extra feature benefits. Not all publications need this type of high level tool, but for businesses that are running empires this is the content calendar of choice. In case you are still wondering about their expertise, just check out their resource library free of charge. From start to finish, you can use this tool to do everything your content targets require. From writing, editing, assigning authors and even keep track of payments to your freelancers. It also has a great analytic element that allows to see how each personal author is doing in regards to page views, likes and shares. Great especially for companies where people are working remotely and more monitoring is needed. Price: You have to apply to get specific quotes, but it looks like for an 8 person team you might be paying $1200 p/month. This tool is for people who like to do things differently (and cheaply). The main way to describe this tool that helps you ‘socialize’ your business. From an internal communication system (no more emails? ), notifications when someone follows you on social media and a great app to keep up on the go, there is a lot going for this platform. For companies that want to push employee advocacy and make their staff feel more connected to the business, SocialCast has many cool features to promote integration; like a personal thank you messages from your manager that can go a long way. I personally want to highlight their fantastic site; it explains what they do very efficiently before you even sign up. So if you’re still debating, it’s worth checking it out. Price: $3.75 per user p/month, but you can also try out a full featured product for 50 users as a free trial first. This is the relatively cheap alternative to all of the above. It is a little different from the rest as its main feature is to help you find great content online to share, though it also allows you to republish old posts and monitor its reach. 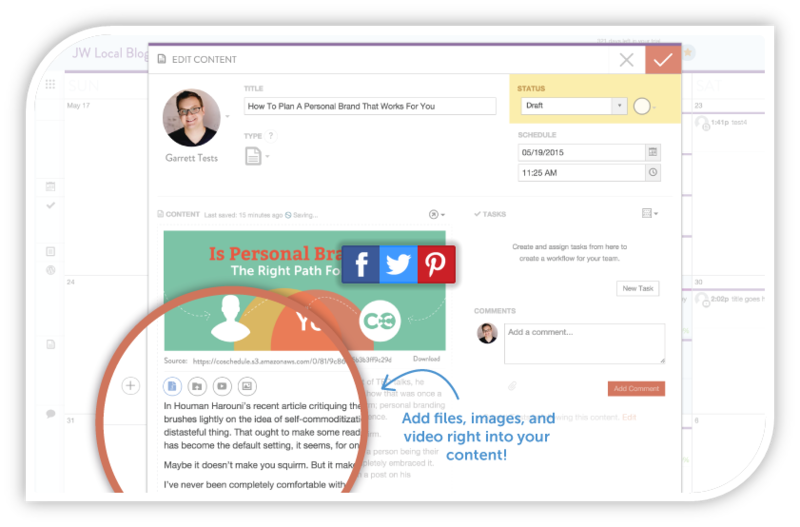 Kim Garst, Forbes columnist and industry influencer, swears by this tool. And with a following of 378K it must be doing something right. This tool has smart analytics that can show you what post has received the most engagement which will help you decide what to push forward in social media. In addition you can add a sharebar to every piece of content you share, even if its not yours you will have a branded toolbar to keep people coming back to your site. Price: Starting from $7 a month. So these are just a couple of options out there. There is no one fits all solution and the best thing to do is to try and see how it works for you and your team. Whether you have a high budget or a low budget, for this implementation to work you need to have a person responsible that can teach others to use it and manage the initial set up stage. Subscribe to our mailing list for free updates from our blog!